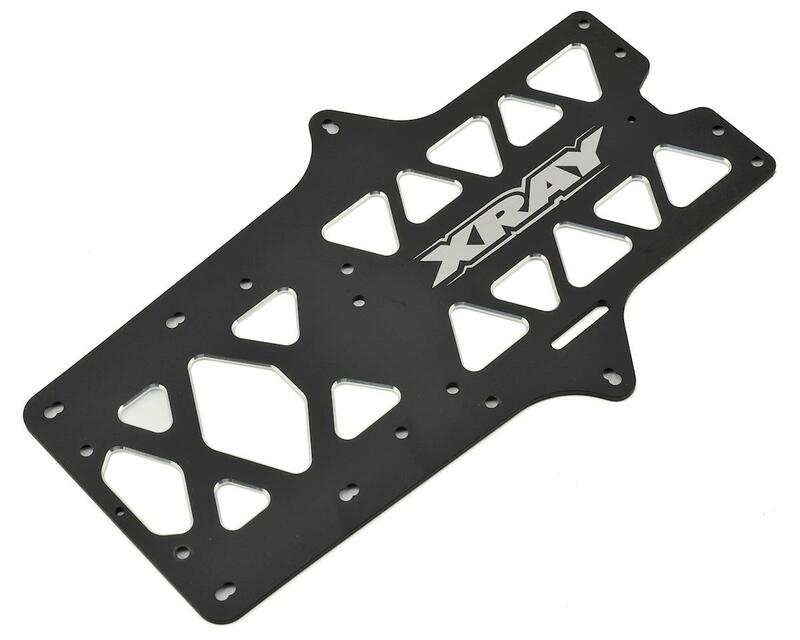 XRAY X12 2018 2.0mm Aluminum Chassis. 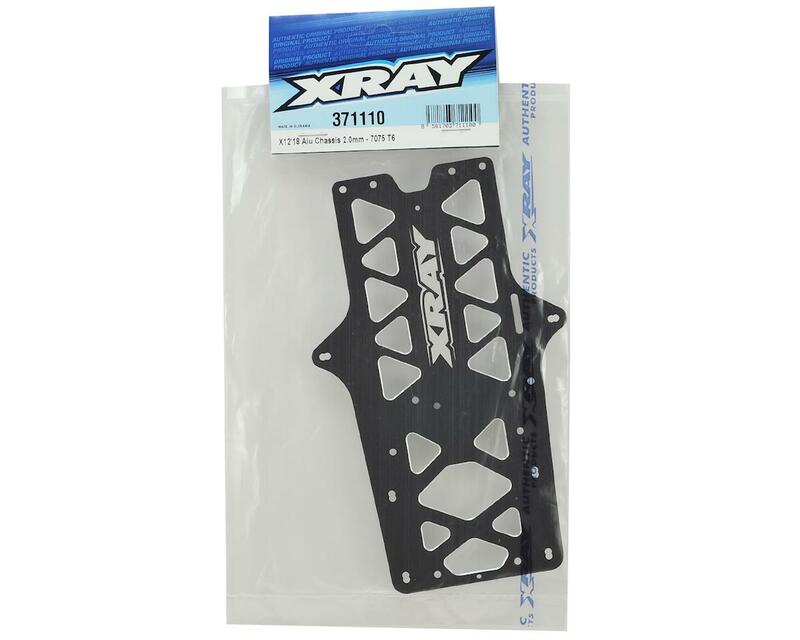 CNC-machined X12 chassis made from 2.0mm Swiss 7075 T6 aluminum which is more suitable for high- and very-high traction US-style tracks. This chassis makes the car easier to drive, keeps more cornering speed, and prevents the car from traction rolling. The chassis has been completely re-designed and re-engineered. To prevent the chassis from touching the track surface at the front, the chassis was split into two pieces: the main chassis and an elevated graphite bumper holder. This design shortens the chassis by 14mm and elevates the bumper holder above the track surface. The split chassis design minimizes scrub at the front of the chassis, allowing for increased steering and more consistent handling – particularly in high-traction conditions – and also results in increased off-power steering.